Text flirting advice comes in many shapes and colors. Today it comes in the form of children’s chemistry sets and dirty old men. Growing up, I had a little chemistry set that I used to make “coctions” – my personal take on concoctions. I spent hours and hours mixing and watching and testing my new products on everything from my mom’s nails and hair to the wooden kitchen table. I know I’m not the only kid who went through the mad scientist phase. But it seems that as I grow older, I remain one of the few coction-making weirdos…which is a shame, because experimentation is fun stuff. 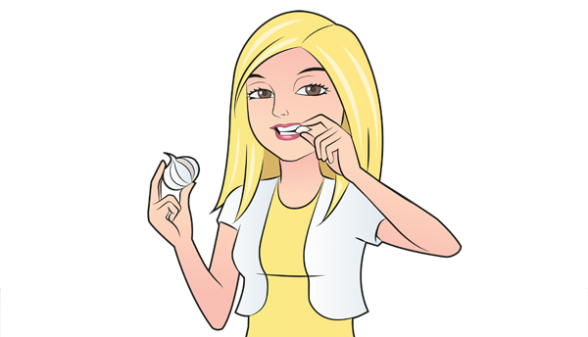 Ever wonder if eating garlic can be effective at turning someone off? Well, I did, and I decided to test the theory. There’s a small print shop near my house that I frequently use to make copies. I dread going there, not because I hate making copies, but because the man behind the counter ticks every box you could think of for a “dirty old man.” He undresses you with his eyes the moment you walk through the door, he has a dirty smile, he stands too close, and he says inappropriate things. His only “attractive” quality is that he works in the only print shop in the area, and is the gatekeeper between copies and no copies. Sick of his annoying advances, I decided to try out the garlic trick. One day, I ate three cloves of garlic before going into his shop. Guess what? It worked like a charm! Suddenly, he didn’t want to stand next to me as I navigated the print settings. The lewd grin had vanished. I happily made my copies without being ogled. Mission accomplished. Experimentation is good stuff. Don’t leave it to the kids with the chemistry sets. Try it out in your texting too.  If you would like to take your texting to the next level, then check out TEXT WEAPON – French Seduction Made Easy. 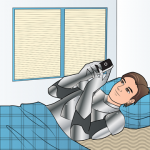 It is filled with text flirting advice that will catapult you and your texts into a whole new stratosphere of romance.